The Oransi V-HEPA Finn is an extended life tower air purifier for rooms up to 400 square feet (37m2). 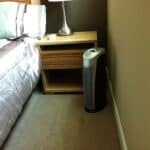 An air purifier is effective, easy to use, safe, and great value. It costs around $300. The Oransi Finn air purifier is designed to save space. Oransi says: “We invested heavily in design to bring you an air purifier you are proud to show off and not hide behind the couch. In addition, we have removed wasted space to make it more compact and powerful than other tower air purifiers.” With its tower design, it can be placed in different spots. Don’t place it close to the wall to avoid air inlet and outlet blocking. Height is 22 inches (56cm), width is 10 inches (24cm), depth is 7 inches (18cm). 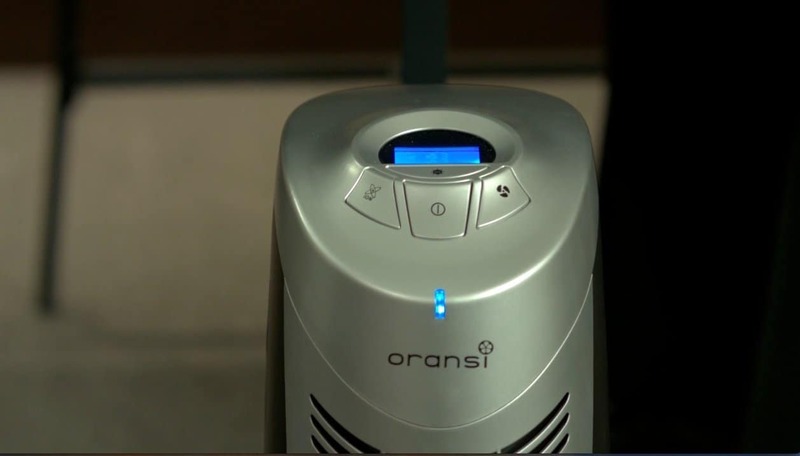 The Oransi Finn is lightweight only 10lbs (4.5kg) and with built-in carrying handle it is easy to move an air purifier around your home. 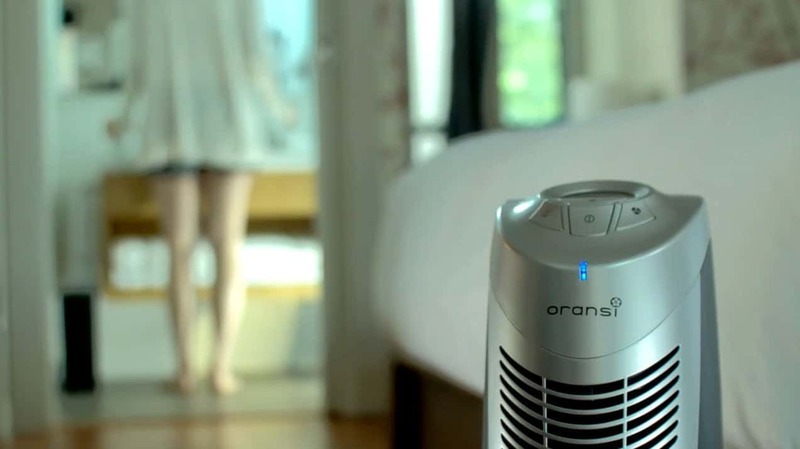 The Oransi V-HEPA Finn air purifier uses a fan to move air through filters. First is titanium dioxide pre-filter that captures large airborne particles and absorbs light smoke, odor-causing compounds, and volatile organic compounds (VOC’s). It will not help with heavy odors. Also, pre-filter helps to extend HEPA filter life. Second is High-efficiency HEPA filter. This filter removes 99.97% of pollutant particles as small as 0.3 microns and larger. This filter is an extended-life that can be vacuumed until it is time to replace it. The Oransi Finn has also germicidal UV light. It sterilizes HEPA filter – destroys harmful bacteria, germs, viruses etc. The UV lamp also works with the pre-filter to break down germs and VOC’s through oxidation. Ionizer. They create ozone that is especially damaging to people with existing lung problems. The good thing is that you can turn it off. LCD display and electronic controls including on/off button, UV button and fan speed button. 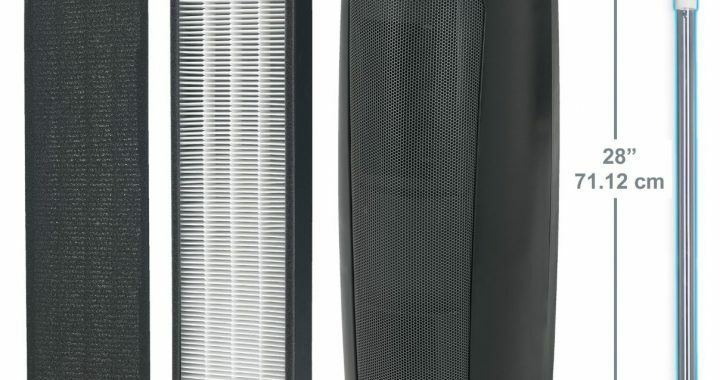 An air purifier is loud on the highest setting, but you can get used to it pretty easily. The middle setting is much quieter. The first speed is quietest, noise is soft and unnoticeable. The pre-filter is long-lasting, this filter can be vacuumed clean and lasts up to 8 months, depending on use. HEPA Filter life is 1 to 2 years (recommend dusting/lightly vacuum every 1-2 months for best performance). Both filters are easy to change. The pack with 1 HEPA filter and 3 pre-filters with normal use costs around $45/year. The quartz UV lamp has a life of 12-15 months. New costs $30. The lamp consumes only 5 watts. The Oransi Finn is energy star qualified and is 40% more efficiently than conventional non-energy star models. An air purifier consumes only 55 watts at the highest speed. That is really not much. 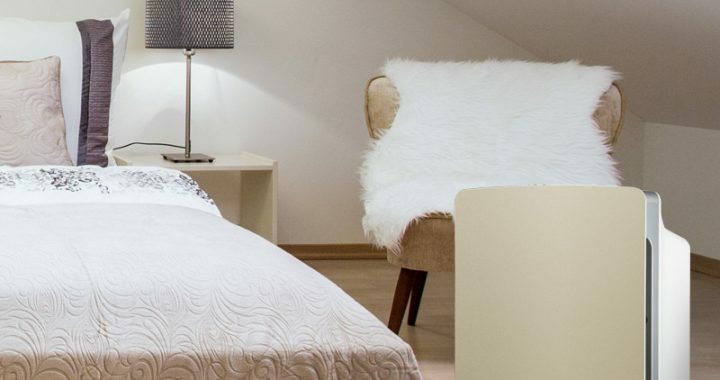 The Oransi Finn is simple to use, stylish tower air purifier for rooms up to 400 square feet. 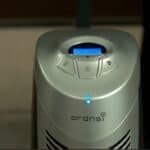 It is cost-effective air purifier for allergy sufferers and anyone who wants to create cleaner air. Saves space – slim tower design fits in nearly any small space. Energy efficient – uses only 55 watts with the highest setting. HEPA filter needs to be replaced only once every two years. Some of you blue power ON light may be too bright at night. Carbon filter absorbs only light odors and chemicals. Ionizer creates ozone. I suggest to turn it off. 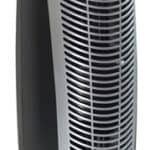 Posted in Air Purifier Reviews, Reviews and tagged Air Purifier, Air Purifier review, HEPA, HEPA Air Purifier, Oransi.